Wayne Rooney was the talking point of world football this week, as he returned to international action for one last time. The legendary striker was part of Gareth Southgate’s squad for the final time in his career, and he received the farewell he deserved. The player came on as a second-half substitute in a match that was comfortably won by his side, with Jesse Lingard, Trent Alexander-Arnold and Callum Wilson all finding the back of the net. After the game, Rooney was greeted with players congratulating him, and youngsters like Jadon Sancho thanking him for his guidance. In the midst of all this, the most unfortunate incident came the way of Christian Pulisic, who was given the Royal Custard Pie treatment by the man of the moment. The Chelsea target was coming Rooney’s way with a handshake, but was left hanging by the former Manchester United man. Sancho intervened the exchange, as he greeted Wayne first, and this allowed the internet to target the Borussia Dortmund playmaker without mercy. “I have to thank him because, without that advice, I might have still been really nervous,” the young starlet added. 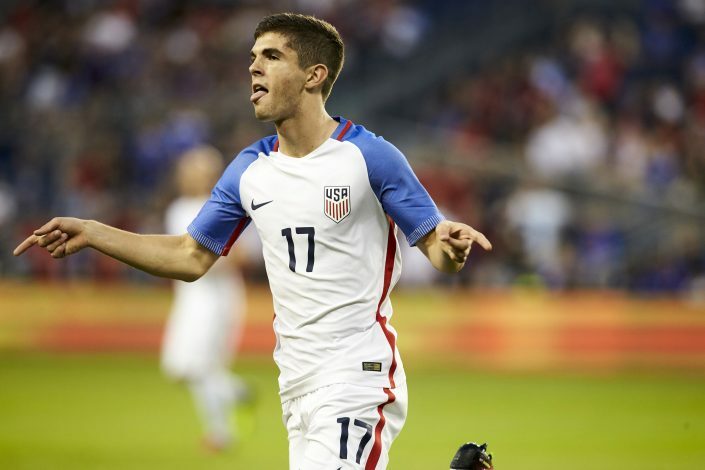 A day of joy, emotions, and pride for Rooney and those around him, and a little something extra for Pulisic to remember.